DSC Solutions was founded in 2010, with an absolute focus on world class service with exceptional customer satisfaction. Over the past years DSC Solutions has focused and invested heavily in the development of proprietary processes, technology, and the training of its personnel. As a result the company has established a reputation for offering an industry leading value package with unmatched service quality in an incredibly cost effective manner. 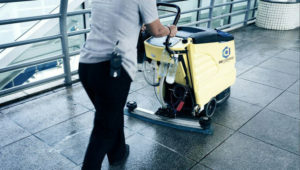 From inception, DSC Solutions has distinguished itself as a contractor of choice quickly expanding its service offering from janitorial services to over eighteen facility support services. Staying true to its vision of simplifying facility maintenance for its customers by offering simple, cost effective, single-contract solutions. The key to the company’s success is its team of industry experts, DSC Solutions continuously targets the best in the industry and invests heavily in their training and development. The expertise offered to its customers is unlike any other company in the industry, and it shows. In 2016 the company began its expansion into the public sector, pursuing government contracts in Maryland, and Washington DC. To further continue its growth the company has expanded operations to New York, New Jersey, Maryland, and Washington DC. In its early years, DSC Solutions and its operations were compromised of 3 employees. Today, the company has cleaned over 2 million square feet. It operates in both public and private sectors and has over 100 full-time employees, with another 50 on call for seasonal work. To be recognized by our clients, our team members and experts in our industry as the best facility maintenance company in our market area. To leverage our resources to enhance the appearance and value of every client’s facility while exceeding their expectations every step of the way.